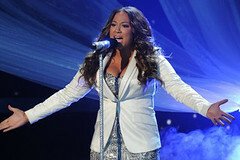 X Factor USA Show Highlights & Videos from 12/21 – The Finals! 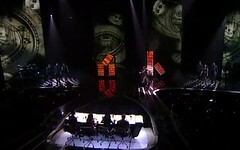 At long last we are finally at the finals of Season One of the X Factor USA. It has been a long and tiring road. We have seen some great perform and fall along the way to reveal our final three. Tonight’s performances are going to be key and we have been promised some great entertainment tonight. We finally get to put the rumors of Nicole and Steve Jones leaving the show and focus on the performers. It will definitely be a battle Royale. X Factor USA Show Highlights from 12/15 – The Top Three! Last night was the Pepsi challenge and our top four contestants sang tracks selected by the voters from three choices for each contestant. Fortunately the fans voted for the right songs and we got to see our favorites belt it out. We are getting closer and closer to seeing a winner, but it is looking more and more like the interesting acts are being dropped. My prediction would be Josh and Melanie in the finals for sure, though I am not sure if Marcus or Chris will join them. 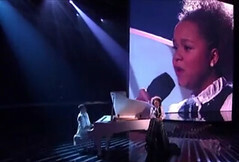 In last nights results show Rachel Crow was eliminated and she fell into tears. The other person in bottom two was Marcus Canty. The show started by Lenny Kravitz doing a performance, where he performed a new song and then his timeless hit “Are you gonna go my way.” Mary J. Blige also performed. The first two to make it to the safe list where Chris Rene and Josh Krajcik. Melanie Amoro was next to make it to the safe list. Last week on X Factor USA, America (and the judges) sent home Astro and Drew. While I expected Drew to go home sooner rather than later, Astro was a complete shock. Given what happened last week, I expect Astro fans to vote just to keep him in the competition. Unfortunately for him that didn’t really pan out. Tonight we have the top five performing two tracks each. The first of which will be a dance track. Given the way last week went, it seems the artist playing the popularity card can definitely make it through to the top 3 at least.